Thanks to the generosity of our donors and supporters, we’re funding lifesaving research in lymphoma, from basic biology to prevention to treatment and to survivorship. And with continued support, this scientific research will continue. Our research funding focuses on an organization CCF has funded from its inception in 2010 – The International Lymphoma Radiation Oncology Group (ILROG). To date, the Connecticut Cancer Foundation has provided over $2 million dollars to cancer research. We believe that where a person lives should not determine if they live. 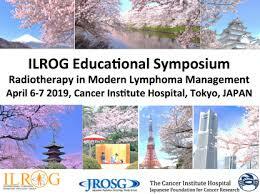 ILROG worldwide is a forum to further the understanding of radiotherapy in the treatment of lymphoma in children and adults around the globe. Every major cancer hospital in the United States is a member of ILROG. The membership base includes over 900 Radiation Oncologists from 40 different countries. ILROG’s accomplishments would not have been possible without the initial support of the Connecticut Sports Foundation and the trust we had in our combined goals to improve the care of lymphoma patients worldwide. The organization is led and Chaired by Dr. Joachim Yahalom of Memorial Sloan Kettering, the physician who saved Connecticut Cancer Foundation founder, John Ellis’ life 31 years ago. The mission and focus of lymphoma radiotherapy research at Memorial Sloan-Kettering Cancer Center is to increase efficacy and decrease toxicity of the total therapy by the smart use of radiation in lymphoma treatment programs. Integrating the new immunotherapies including CAR-T cells with radiation. Studying if and how radiation augments the effect and what is the best schedule for it. Exploring distant (abscopal) effect of very low dose radiation of radiation with an immune agent (irradiating one site and expecting other sites to respond). Applying smart radiotherapy to patients not responding to chemotherapy as a “bridge” to bone marrow transplant. Developing a study to identify situations when only 10% of the traditional radiation dose provides an excellent lymphoma response. Introducing metabolic imaging of lymphoma to target the minimal site to be irradiated, sparing critical organs. Developing technology to minimize tumor and normal organ movement while delivering radiation. Decreasing the need for longer and intensive chemotherapy by substituting it with less toxic and more effective radiation. Click Here for More Info on ILROG.